I email my Deanery colleagues to thank them for their cover during my sabbatical and said I was around in August “if you need any help”. Me and my big mouth! 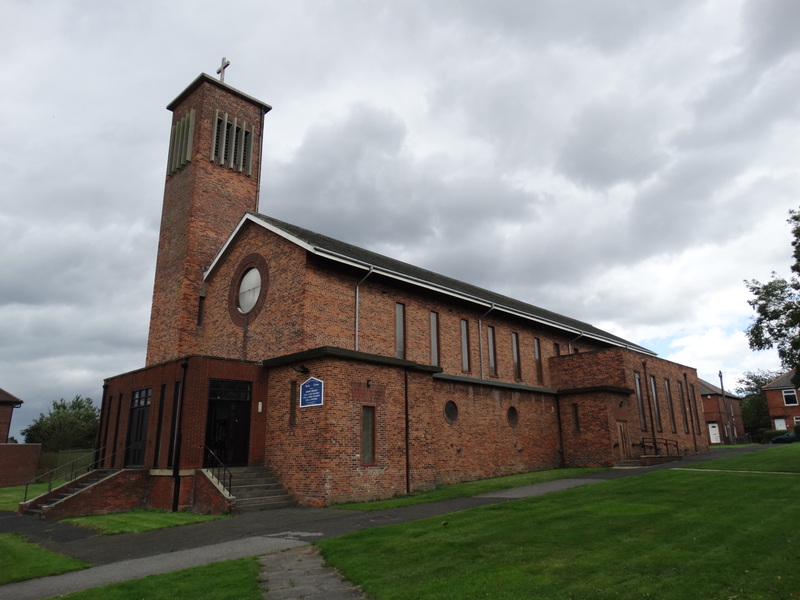 It was lovely to be invited to do the “Housebound communion” at Holy Cross, Fenham, on Monday 11 August 2014 (even though I did miss Keith’s talk on “The Railways of Ponteland”). 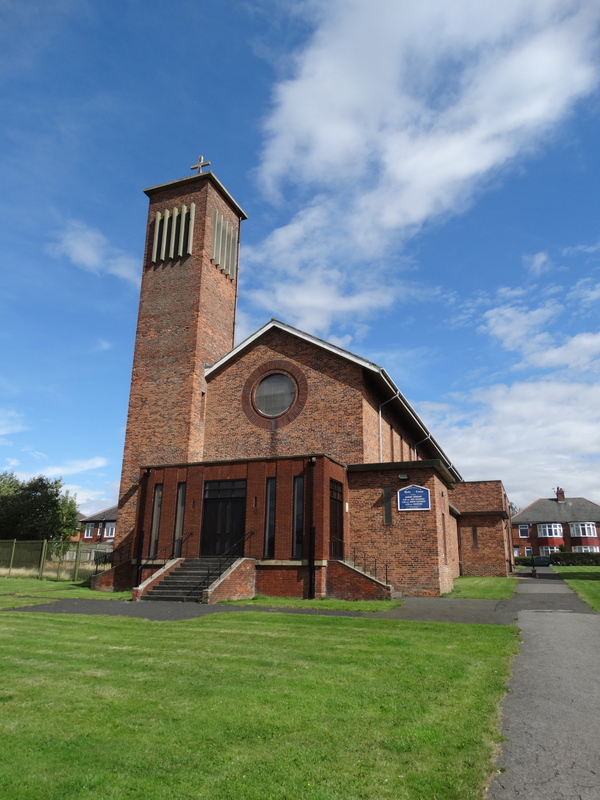 The church is in the west end of Newcastle, on Ovington Grove, NZ213654. 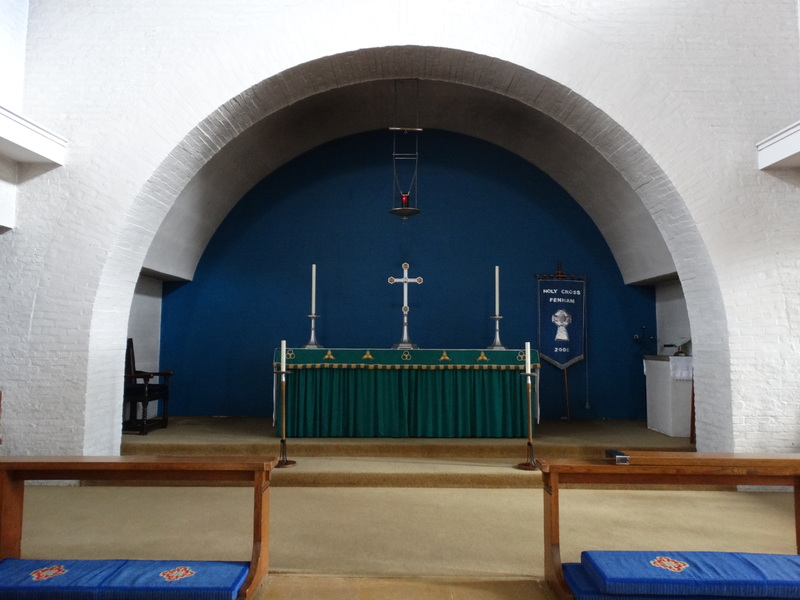 Pevsner tells me it was built 1935-6 by H.L. Hicks of Hicks and Charlewood, “on land given by J.R. Blackett Ord of Whitfield Hak, whose ancestors lived at Fenham Hall. He also paid for the church and refused to yield to criticism of the plans. 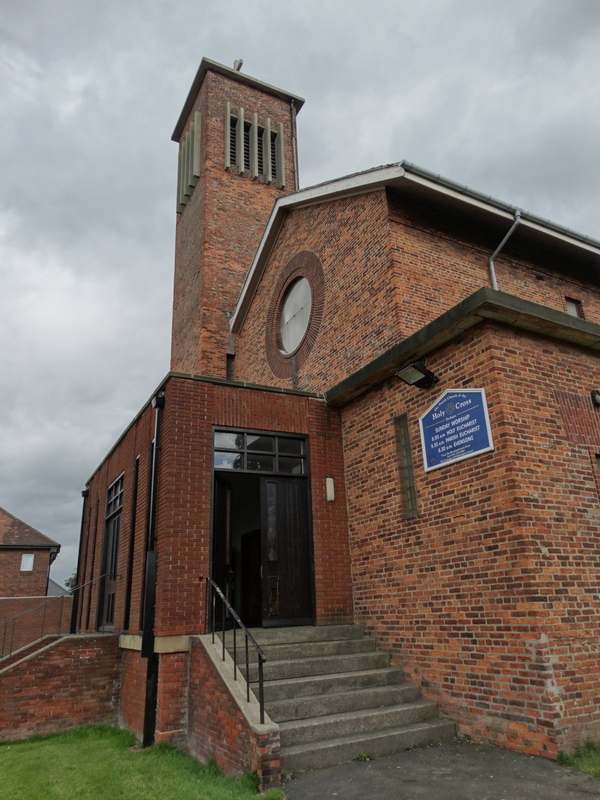 A straightforward modern building, made from warm-coloured C19 bricks, with almost no decoration within and without, other than that provided by the materials themselves. … The campanile-like NW tower has rows of long belfry openings. … The porch of 1965 is not very appropriate.” Certainly right on the last point – didn’t we have disabled people in 1965? Fortunately they have put a ramped side access in since. Good tidy porch interior! 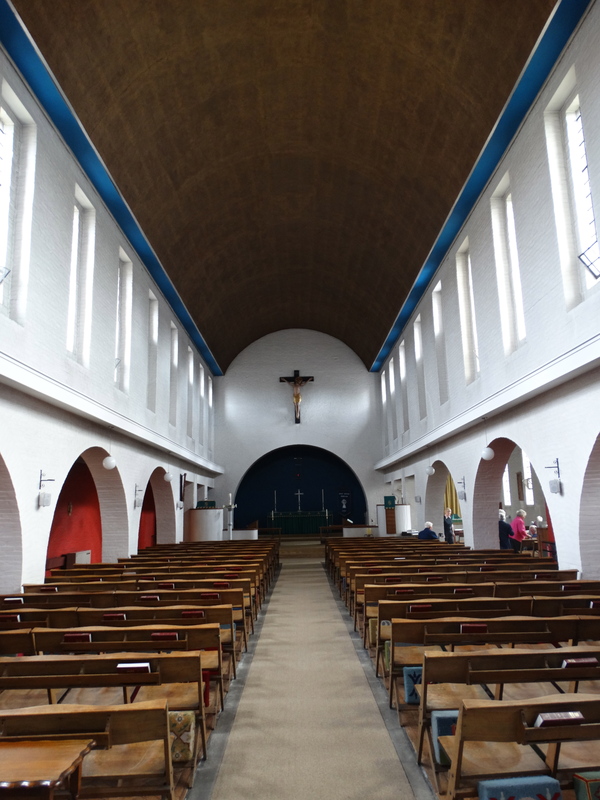 The interior doesn’t do a lot for me – sorry good people of Fenham. 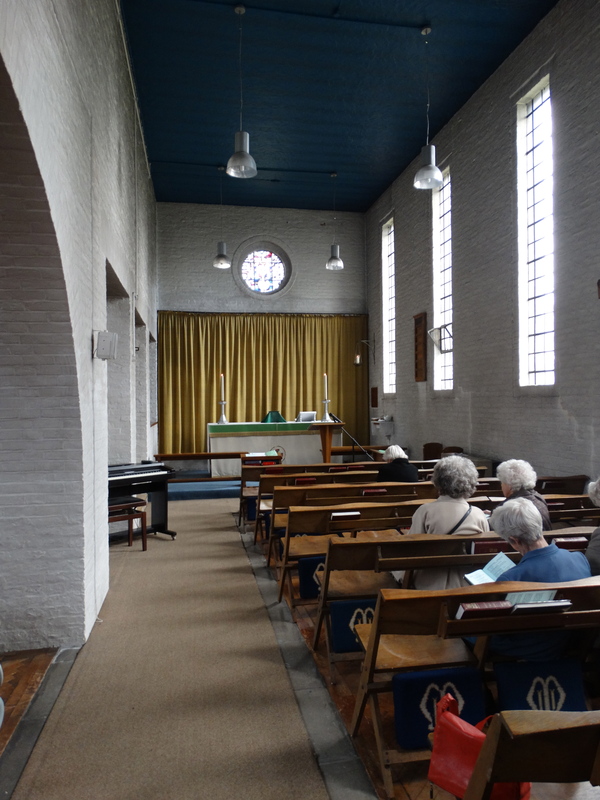 It is well lit, and it would be fascinating to see how some colour in carpets or chairs would change the place. 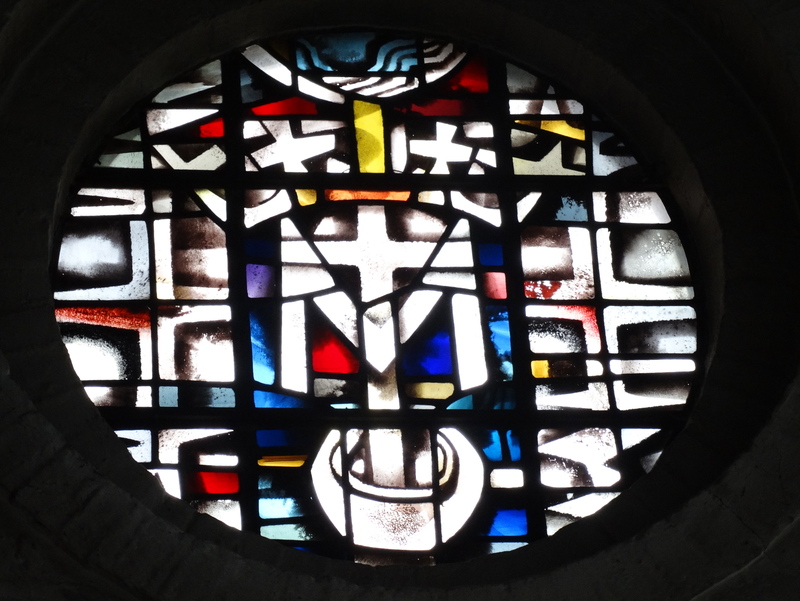 About 23 of us gathered in the Lady Chapel for the Eucharist – a very friendly group. Nice Evetts’ window. 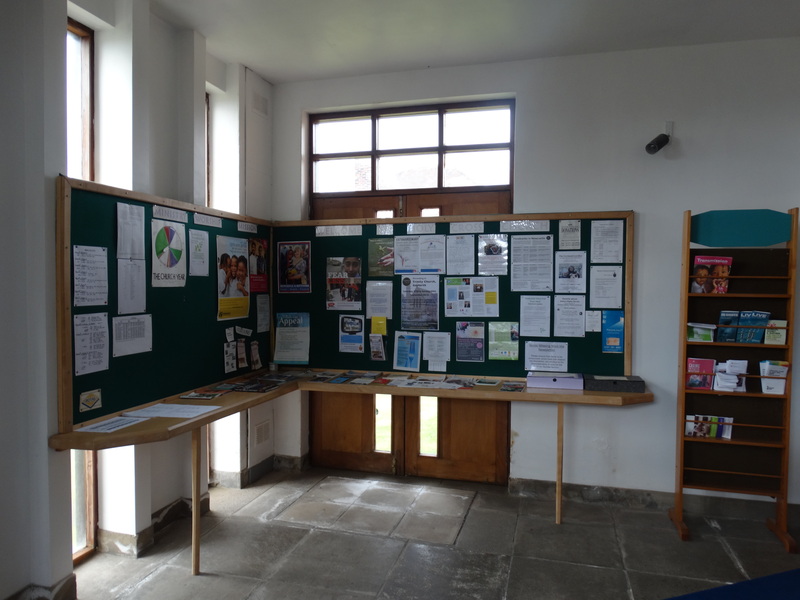 Afterwards we had an excellent tea together in the church hall (give me tea and I’ll come again!). 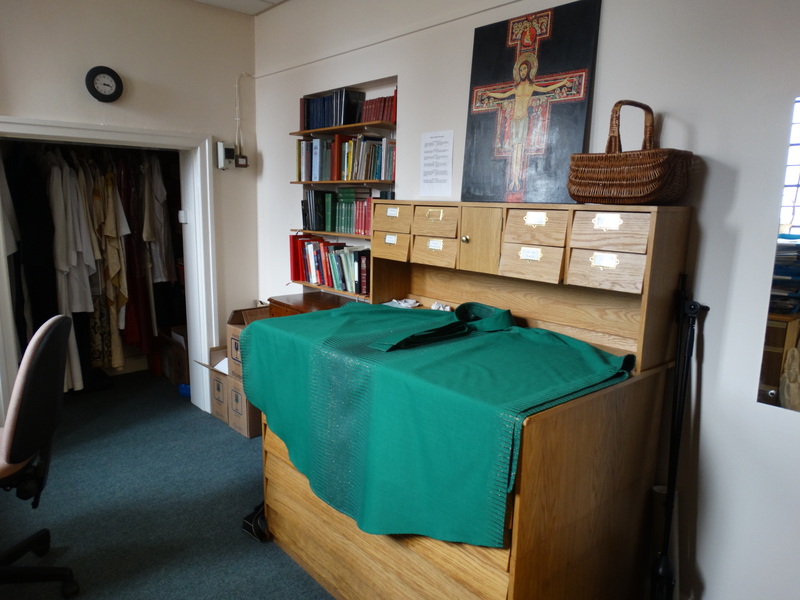 A pleasure to visit – and Gavin keeps a very tidy vestry. This entry was posted in Evetts' windows, Newcastle upon Tyne. Bookmark the permalink.